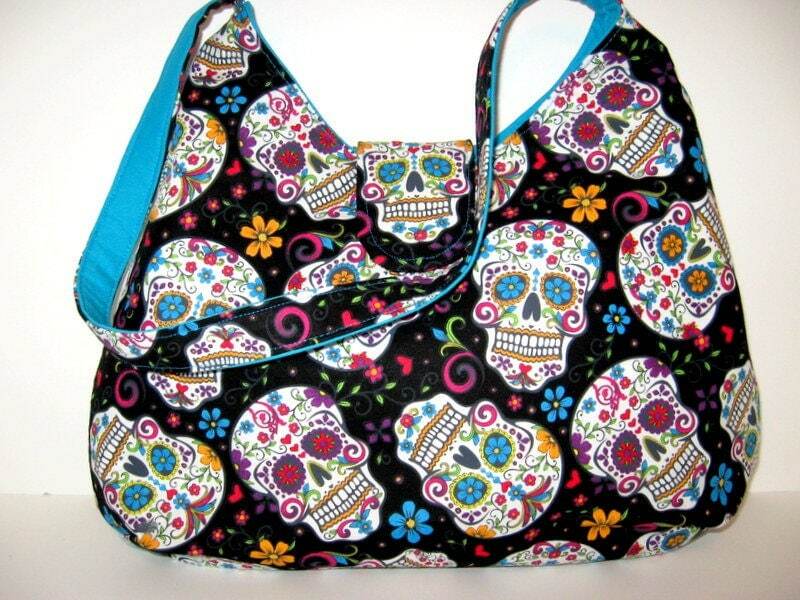 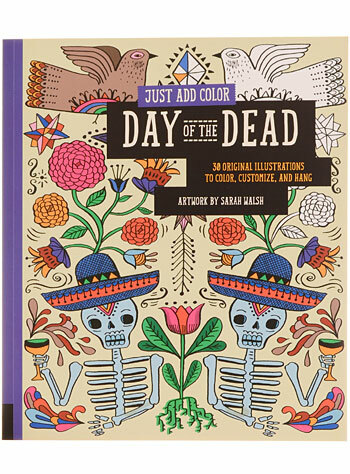 If you or your friends celebrate the Dia de los Muertos, then this Day of the Dead gift guide is perfect for you. 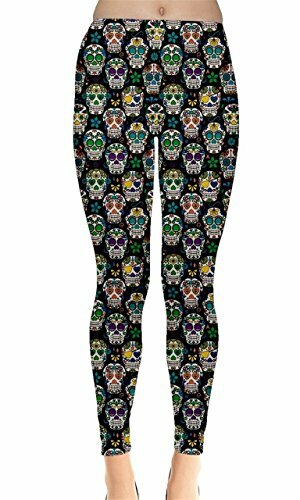 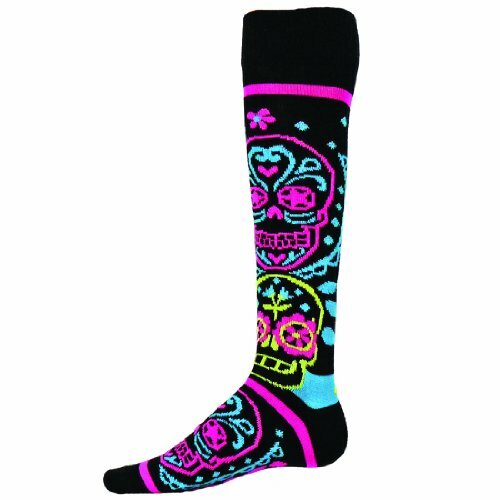 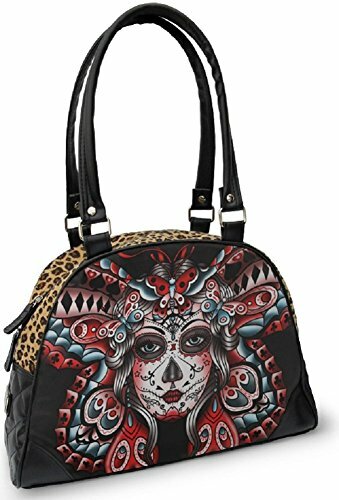 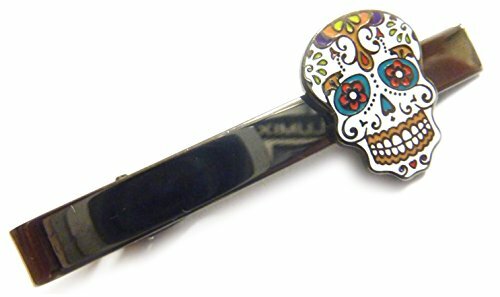 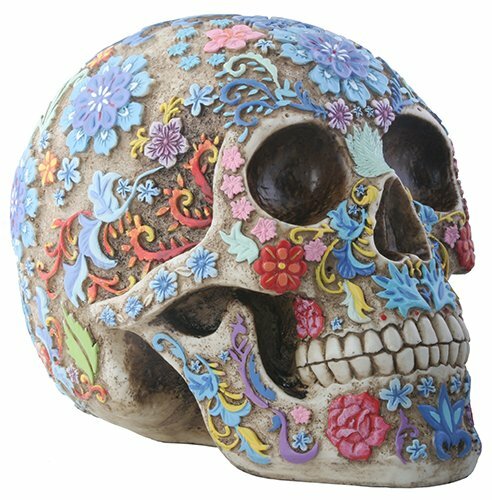 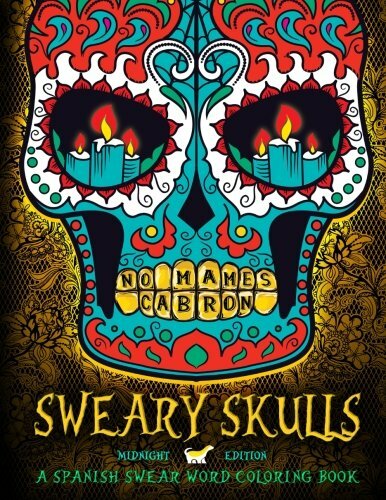 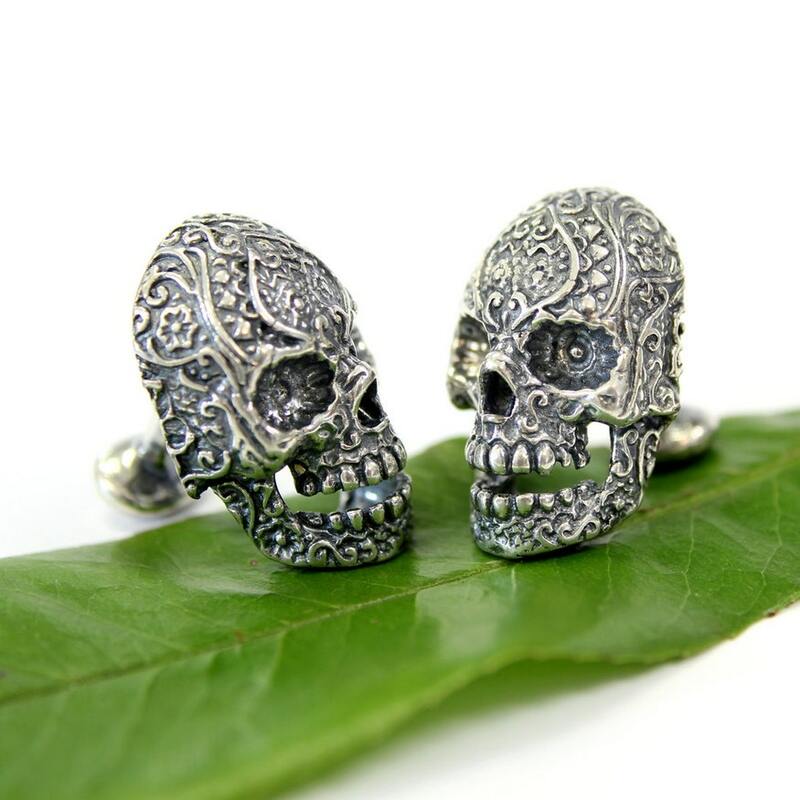 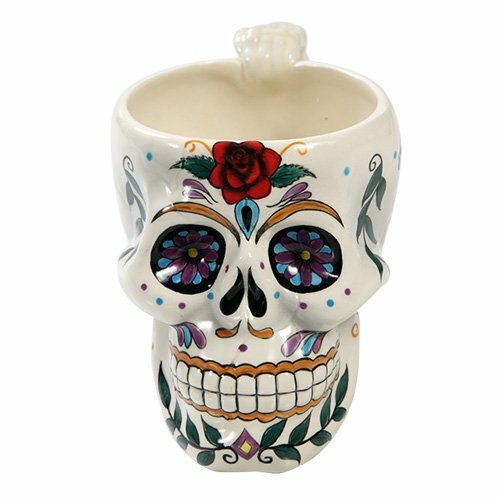 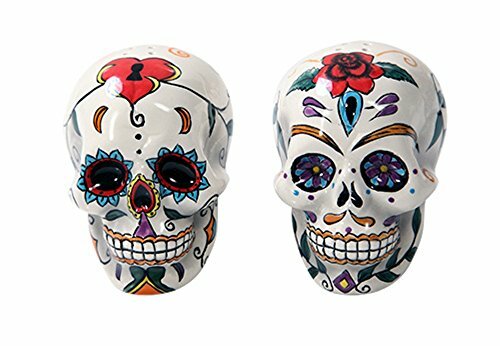 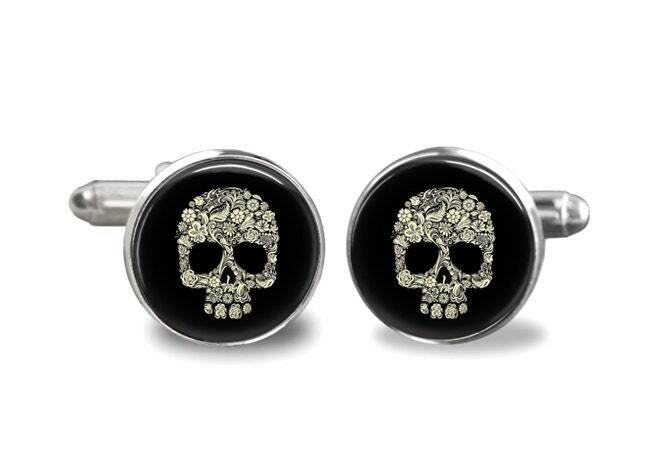 From gorgeous sugar skull cufflinks and shoes to awesome Day of the Dead Hawaiian style shirts and coloring books, there’s bound to be something to please everybody in this great day of the Dead gift ideas selection. 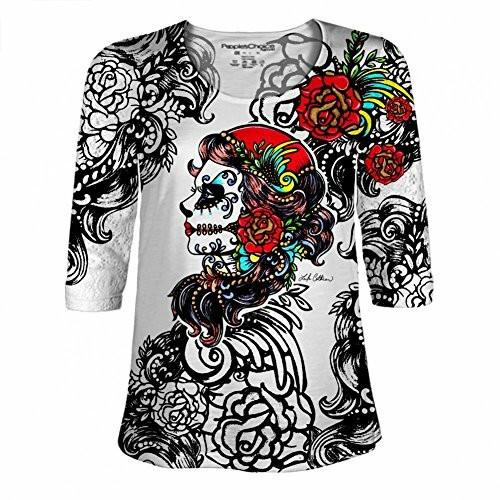 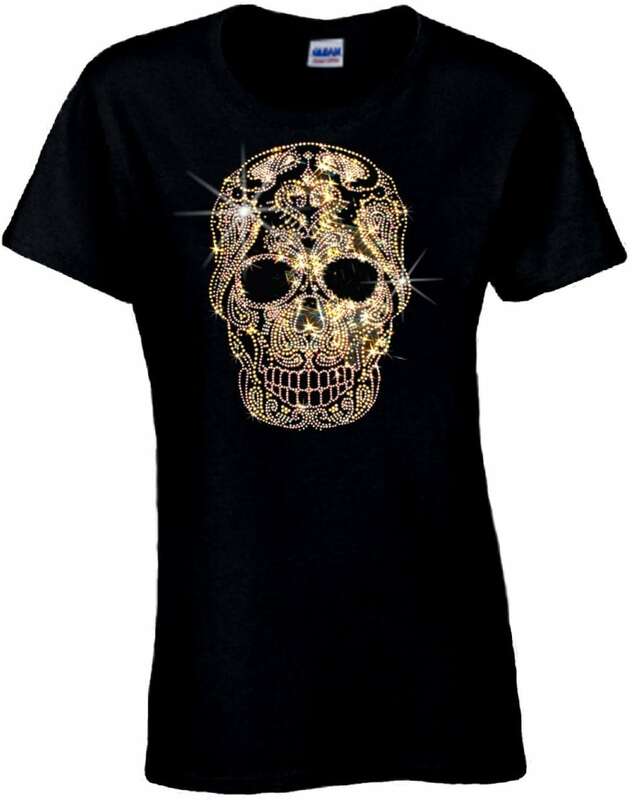 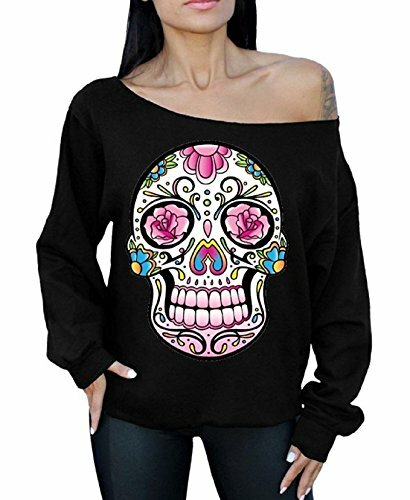 These Day of the Dead t-shirts are gorgeous and feature colorful sugar skulls, beautiful skeleton ladies and even a glamorous rhinestone encrusted sugar skull. 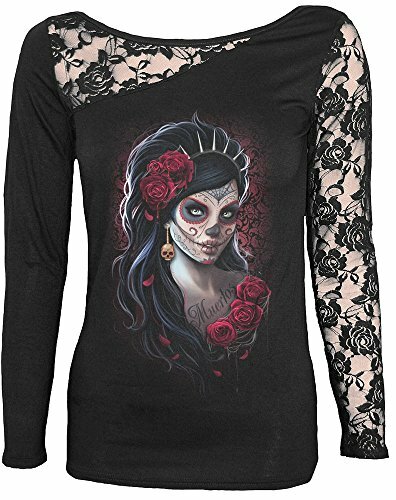 The lace shoulder Day of the Dead top is particularly stunning but all these Day of the Dead tops can be worn with jeans for a casual look or with black pants for a more dressy effect. 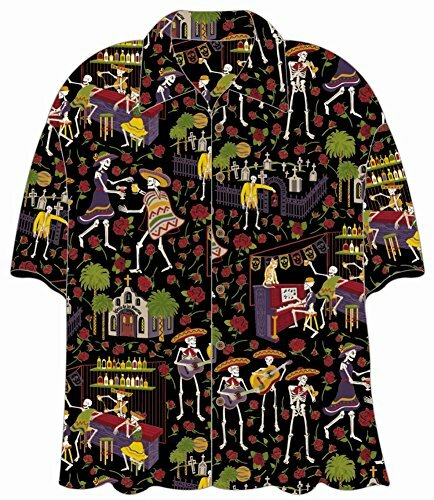 If you’re looking for something more than a Day of the Dead t-shirt, then this is the selection for you. 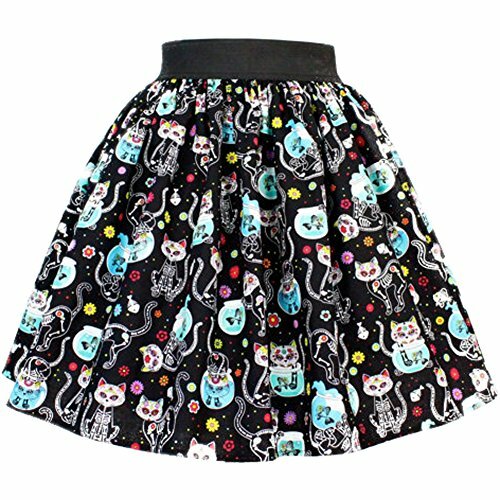 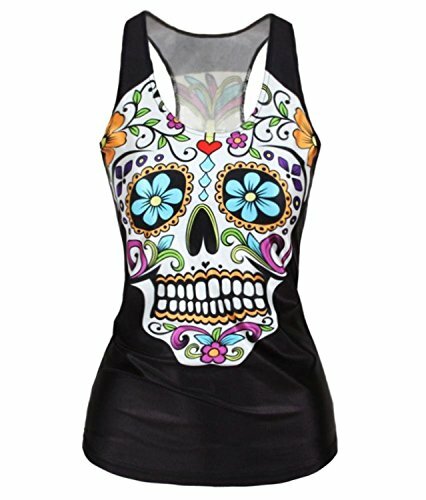 There are four very different Day of the Dead dresses, a cute Day of the Dead Cat skirt, sugar skull leggings and even a rather flirty pair of Sugar Skull chiffon shorts. 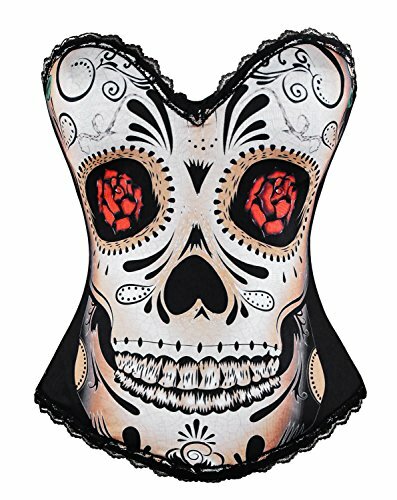 The Skull & Rose boned corset or bustier is certainly eye catching and paired with the right skirt would make a stunning outfit for your Day of the Dead celebration. 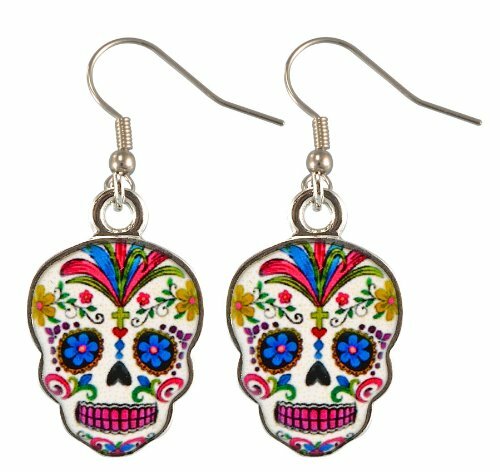 When it comes to accessories for the Day of the Dead, these shoes, purses and earrings will complete any special outfit for your fiesta. 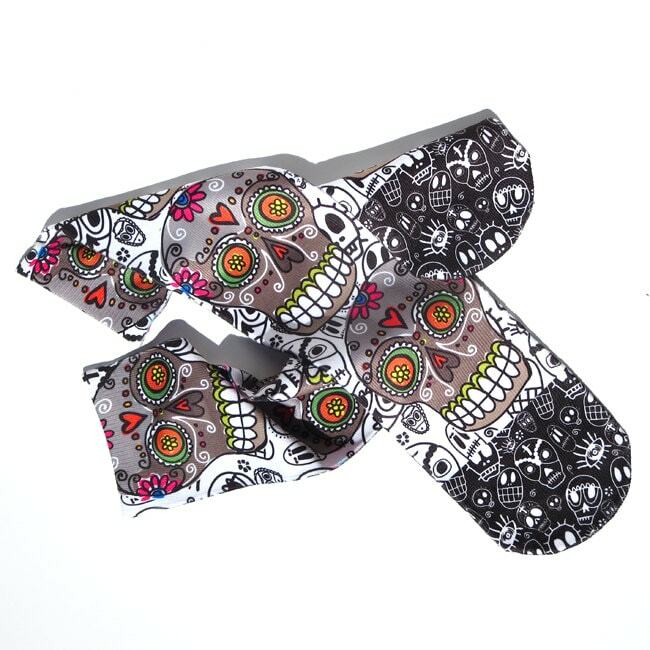 There are high heel or flat sugar skull shoes, whichever is your preference, and there’s also a pair of amazing high heels to really make a statement with. 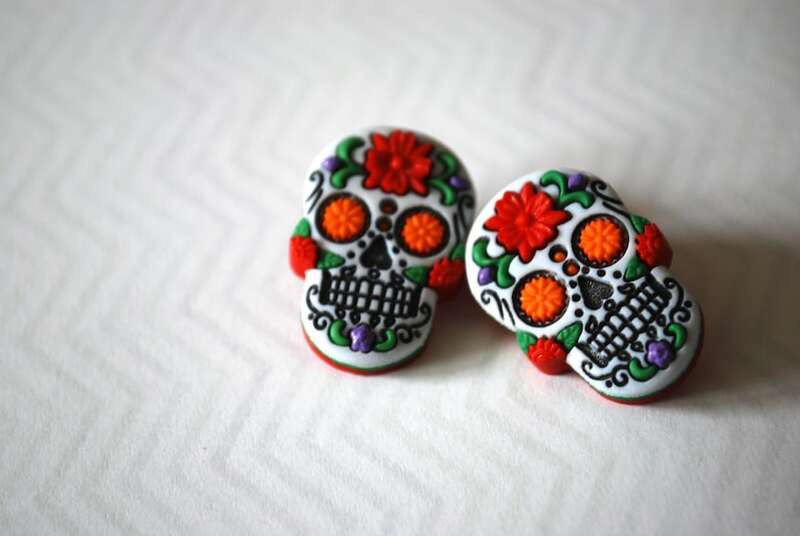 The sugar skull earrings are all for pierced ears and are a bright and cheerful item to finish off your look. 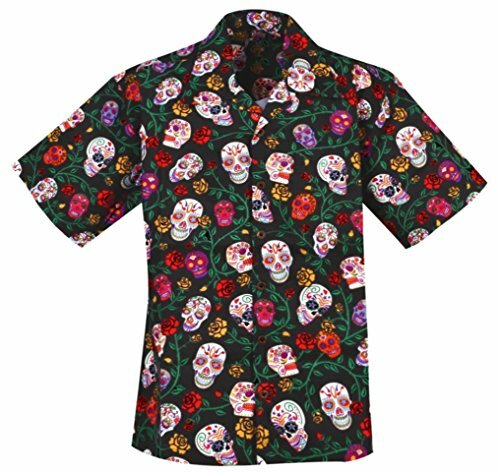 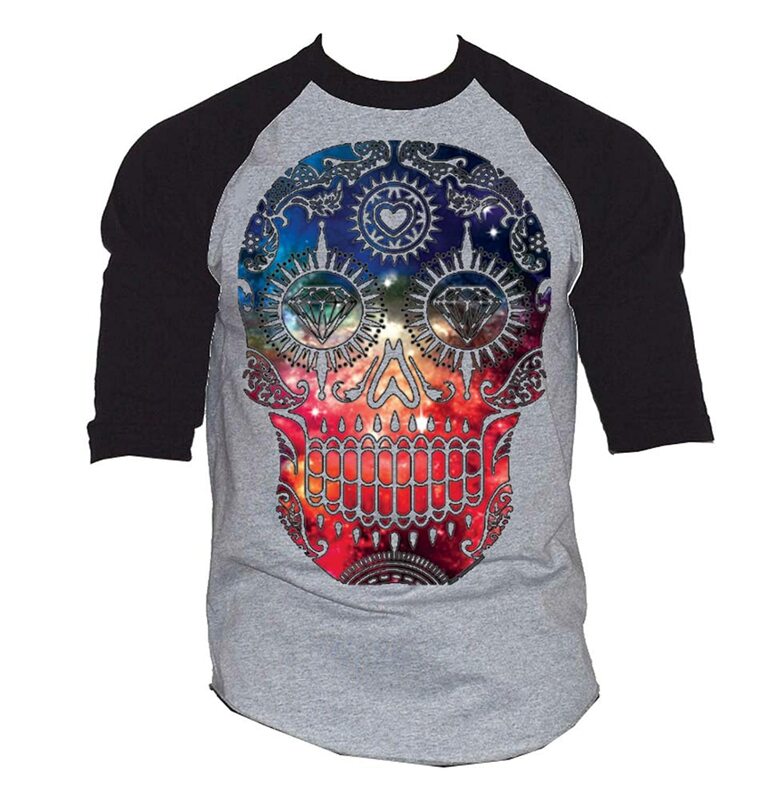 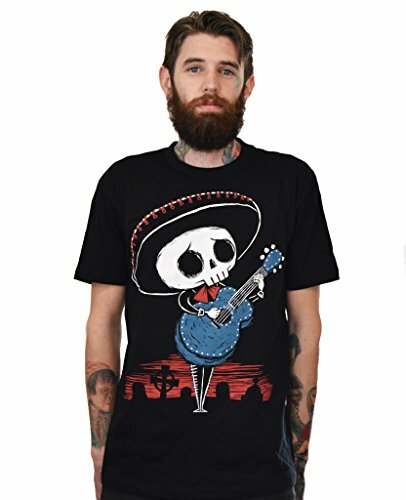 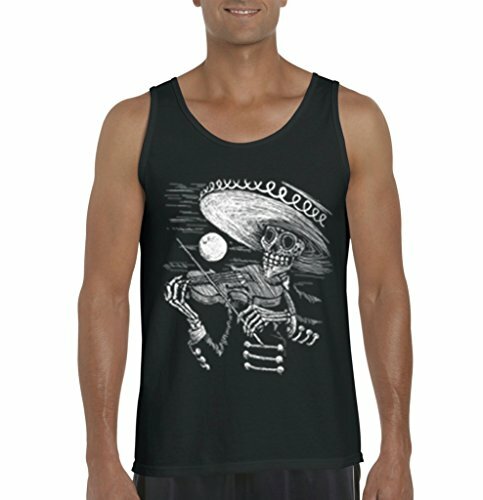 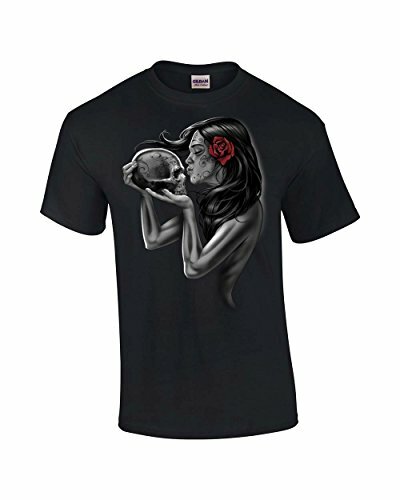 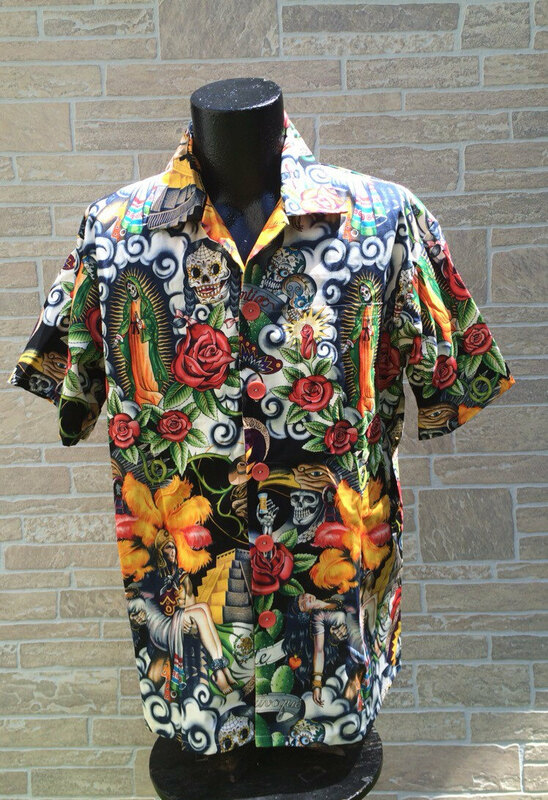 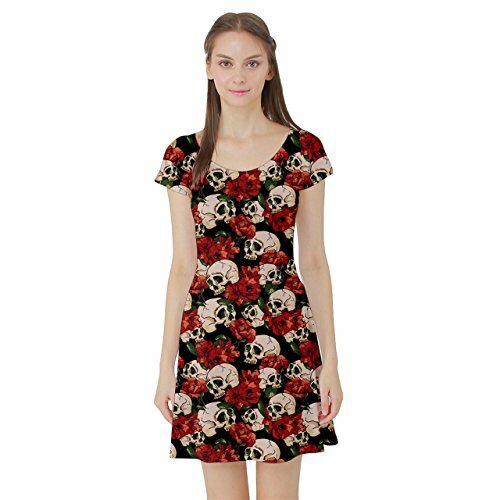 When it comes to amazing designs for Day of the Dead clothing, these Hawaiian style sugar skull shirts and awesome Day of the Dead t-shirts for men are some of the best around. 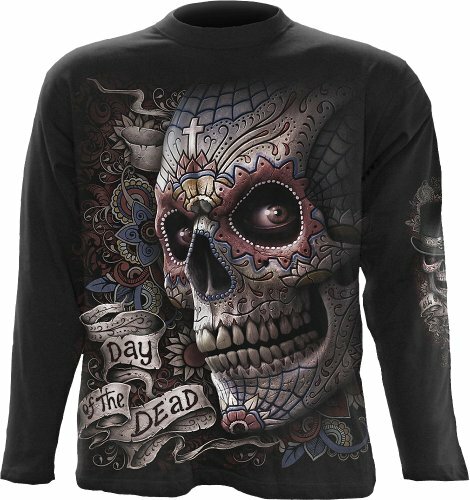 The El Muerto sweatshirt has a dark and sinister sugar skull design that is bound to make people look twice. 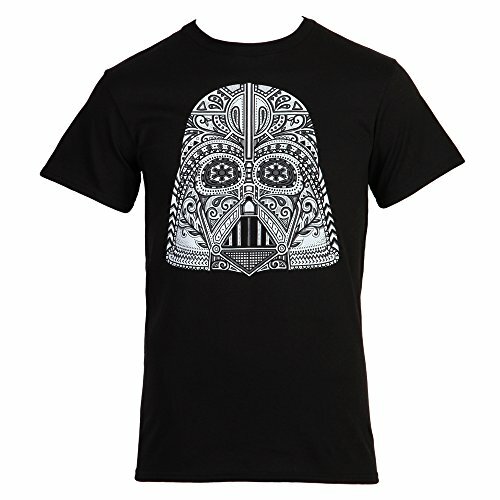 There’s even a Darth Vader sugar skull design (shown below) or a Stormtrooper sugar skull tank top which would be perfect for any Star Wars fan. 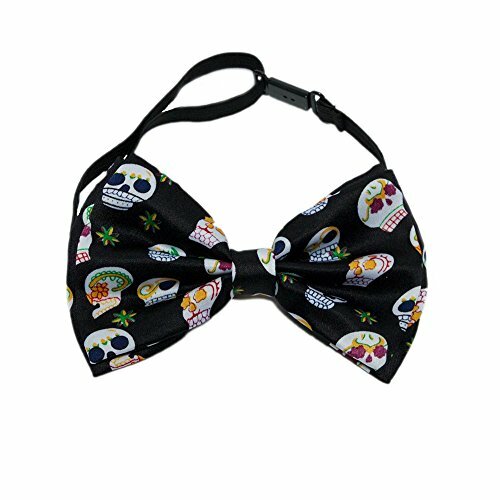 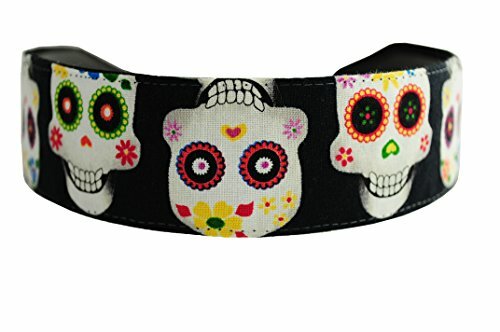 If you have to wear a business suit for work, you can still celebrate the Day of the Dead with these stunning neck ties or even a sugar skull bow tie if you prefer. The three men’s suits are crazy fun and all will make a very big statement for your Day of the Dead celebration! 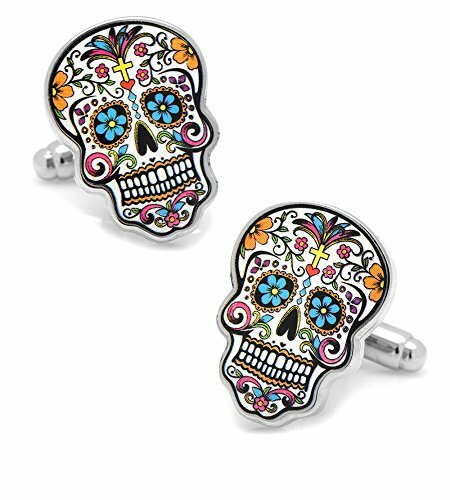 These sugar skull jewelry items for men are stunning and will be a great finishing touch to any Day of the Dead outfit. 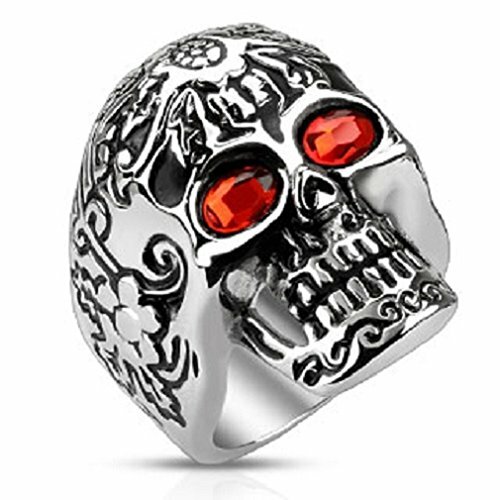 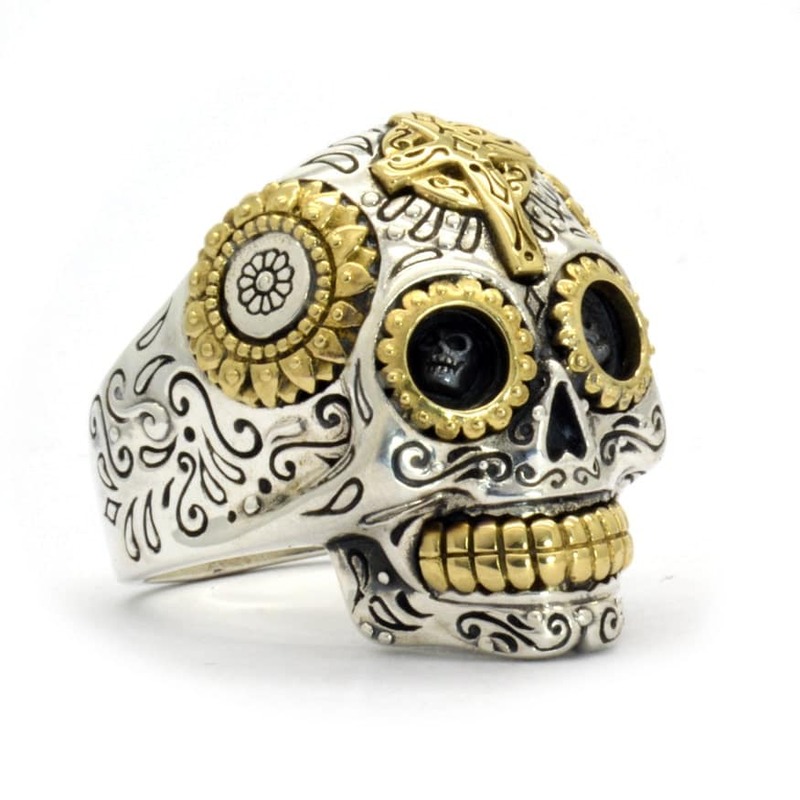 The sterling silver and brass ring is particularly awesome and is made of a full ounce of sterling silver – there’s even tiny skulls inside the eye sockets! 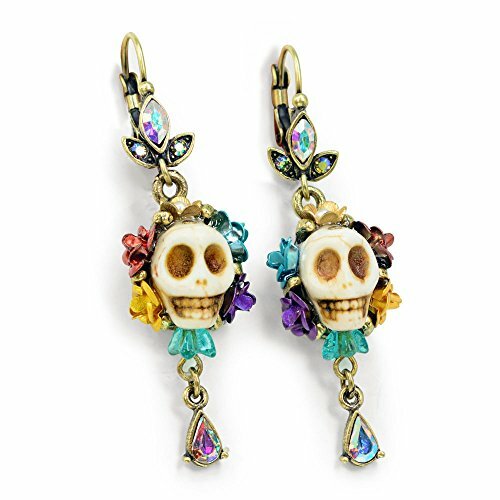 There’s also a similar silver sugar skull pendant available by the same maker which is hollow so doesn’t weigh so much around your neck! 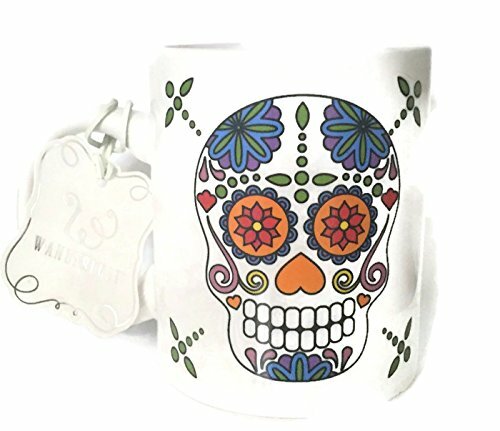 The variety of sugar skull designs means that you can have multiple coffee mugs and not have a repeat sugar skull design. 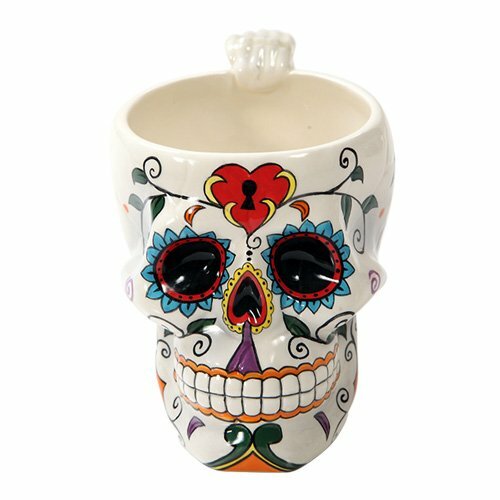 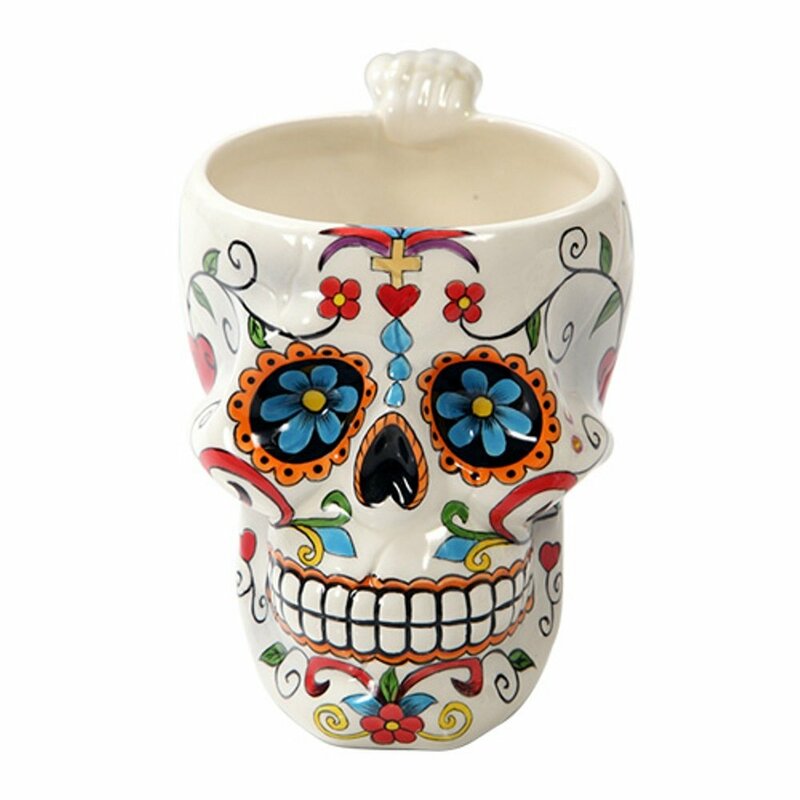 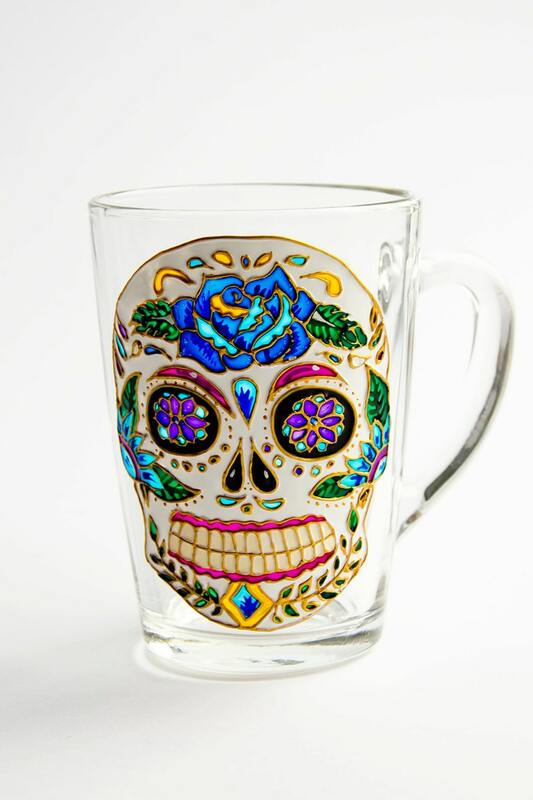 These six sugar skull coffee mugs would all look great in any kitchen cabinet! 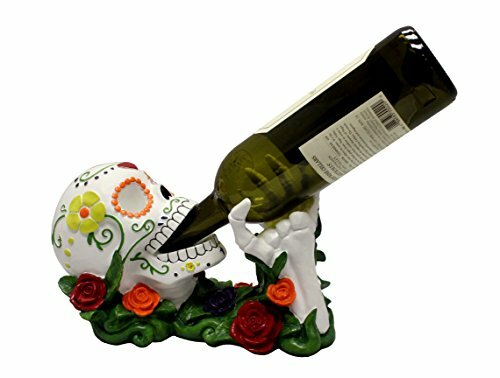 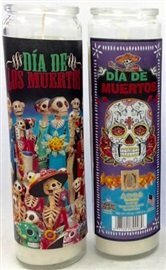 If you’re having friends over to celebrate the Day of the Dead, the sugar skull wine bottle holder will certainly make them smile and the sugar skull salt & pepper shakers will look adorable on any table. 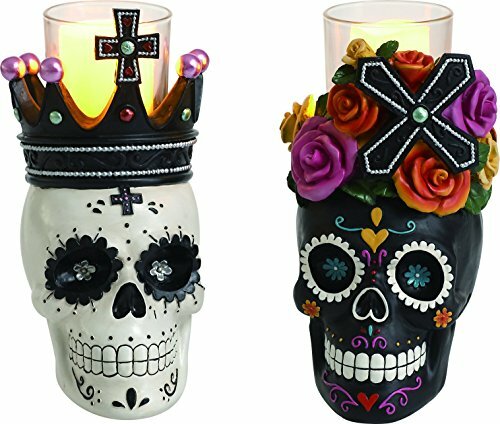 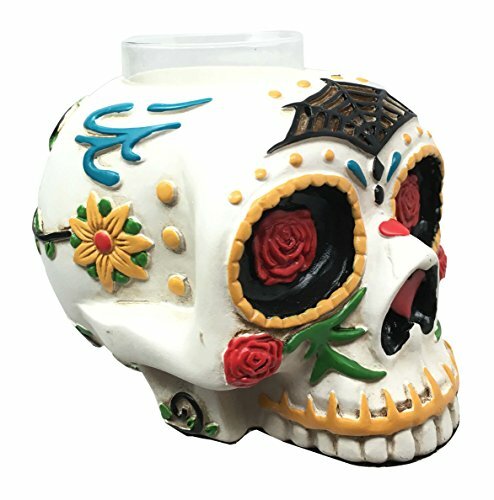 A big part of any Day of the Dead celebration involves candles so these gorgeous sugar skull candle holders and tea light holders fit perfectly. 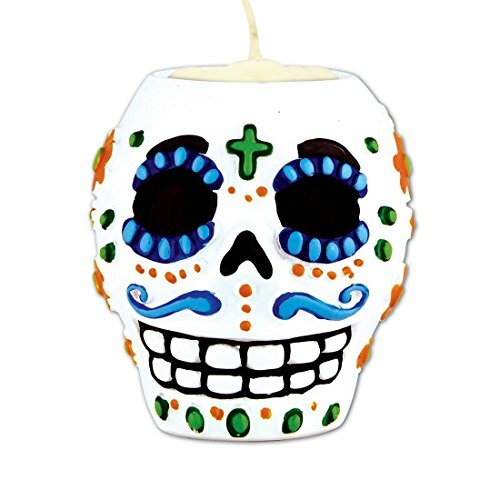 There’s even a cute set of sugar skull design pumpkins and an LED candle so you don’t have to worry about fire safety! 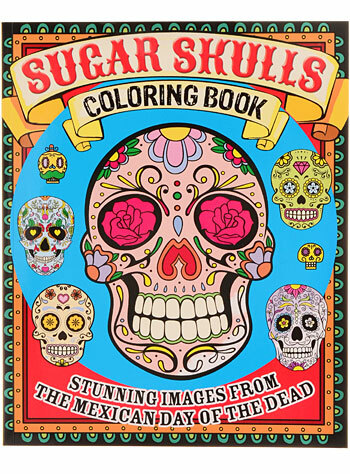 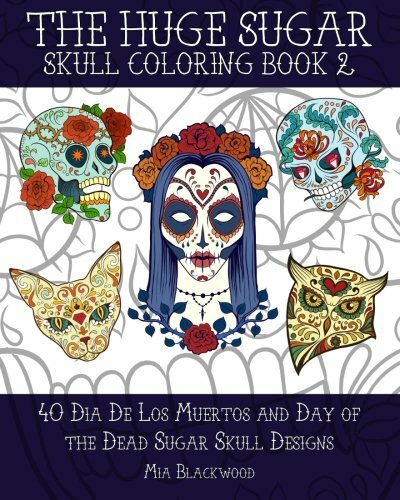 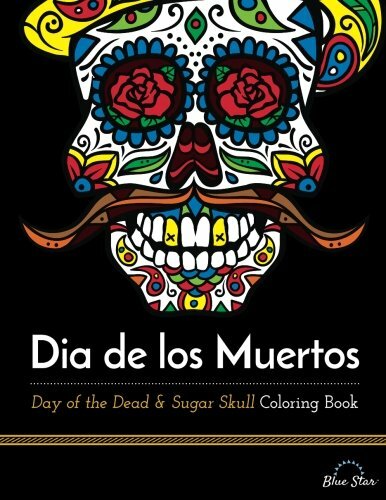 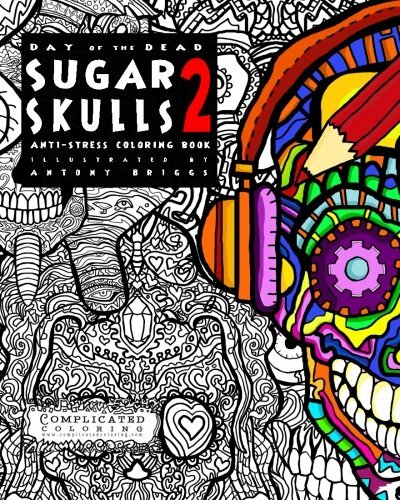 These Day of the Dead & sugar skull themed coloring books are just what you need to de-stress from the celebration or if you need something to keep the kids amused. 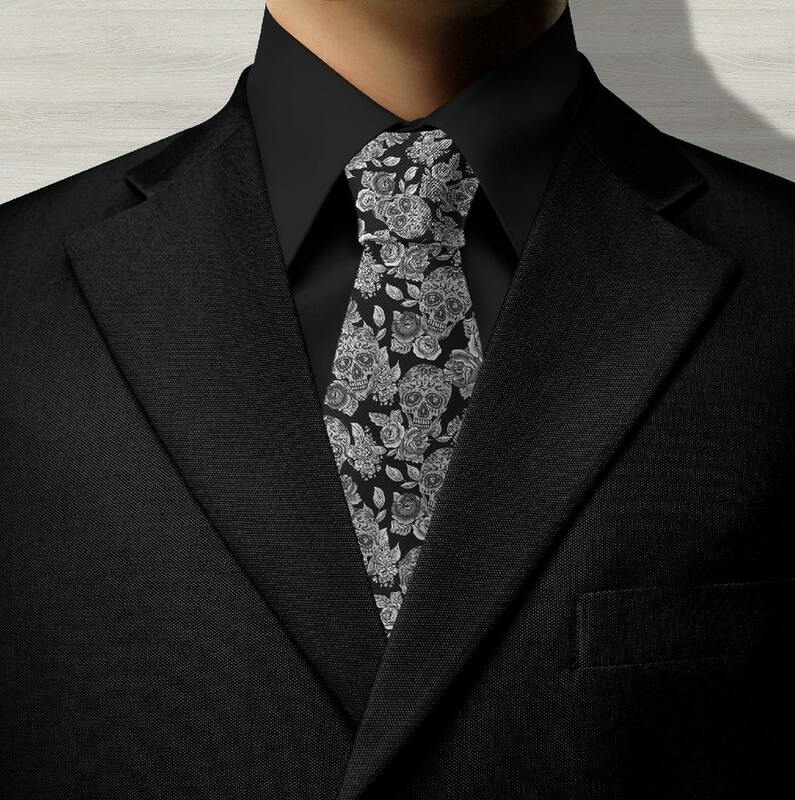 The patterns are fun and fairly complicated but will look amazing once fully colored in. 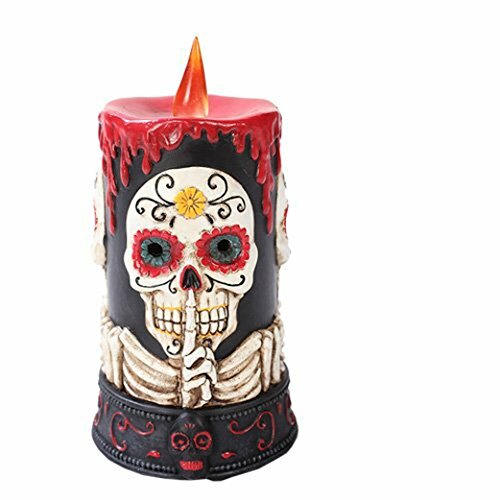 If you haven’t sorted out your Halloween costume yet, check out the Halloween tab in the top menu – there are loads of great suggestions and Halloween gift ideas to help you decide – from witches to zombies and werewolves, there’s bound to be a costume to suit you this Halloween.